Now, just two months later, I am pleased to share the great news that we have found a new owner for the Hod Hepburn house. It’s hard to describe how grateful I am – how thrilling it is to know that there are others out there who share my passion for history and who are willing to invest in saving these beautiful pieces of America’s past. If it wasn’t for the power of modern technology, and the wide reach of this very blog, I am certain that this house, built originally in 1780, would now be nothing more than rubble. The house was built originally in Tinmouth VT but will be reassembled and restored in New York. Below you can see the rear view, before and after. Try to ignore the tar paper and note the post medieval roof system! 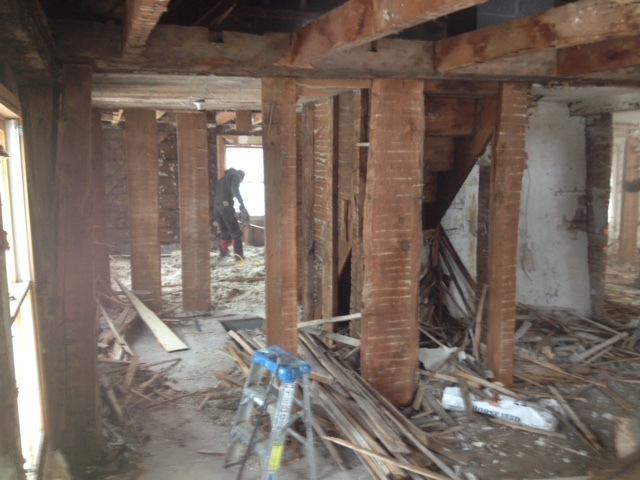 Once “muck-out” is complete, we will move on to labeling all of the timbers and carefully removing them. We will restore each of the hand hewn beams at our local workshop. From there, we will ship the frame off to New York where we will reassemble the restored frame. 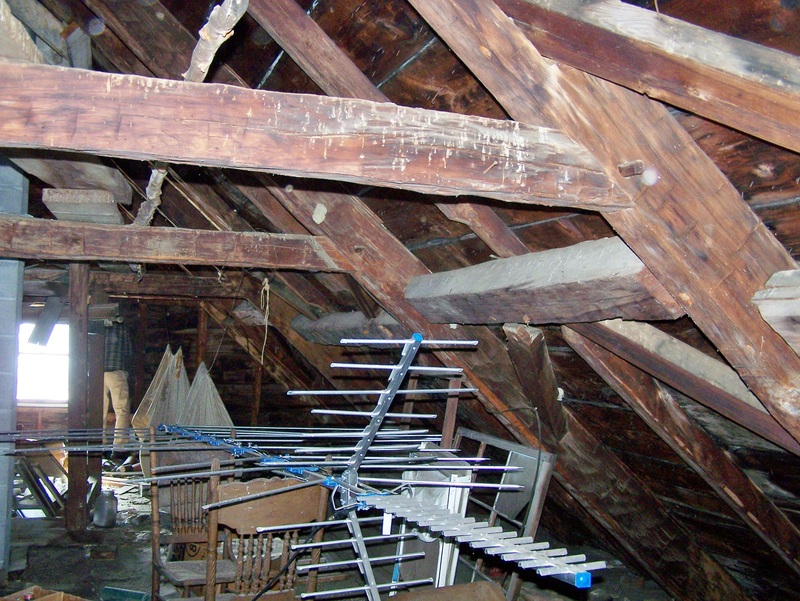 Check out the clip below to see how the attic looked before dismantling began. And here’s the spectacular view from the roof, sans roof boards. Thank you again for helping us save this post and beam house! Know of another barn in need of saving? Looking for your own historic barn to call home? Contact us! We’d love to help. This entry was posted in Barn Raising, Green Mountain Timber Frames, Timber Frame Projects and tagged American heritage, American History, barn frames, barn homes, barn restoration, colonial construction by Green Mountain Timber Frames. Bookmark the permalink. Congrats, Dan, on saving the craftsmanship and materials that are embodied in this old ‘medieval’ frame. 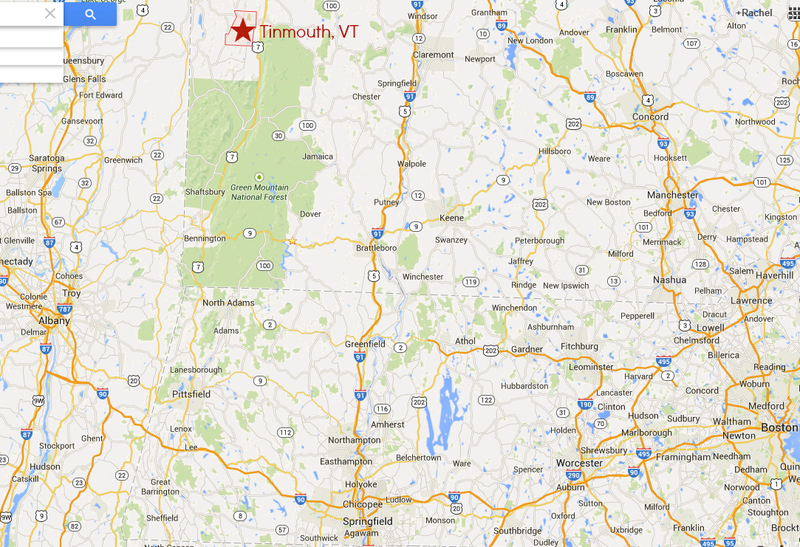 Too bad it’s leaving VT, but fortunately not going too far! This makes me SO HAPPY! Will we get to see it’s reconstruction in NYS ? Have you guys ever contacted HOUZZ.COM to show your stuff? We have a page on Houzz. Contacts from Houzz seem to like our finished floors on various projects. The Hepburn family is so glad that one of our family homes was saved, thanks to Dan. Circumstances did not allow us to keep this old family friend. Had we any idea that it’s future in Tinmouth was in peril, we would have tried to save it ourselves. I will miss it’s presence on The Hill on 25 Pucker Street in Tinmouth but glad that will be resurected somewhere. It’s builder, Captain Miles, had a room named after him by my uncle Frederick Hepburn. I helped him furnish that room. I will have my memories of the grand old house but haven’t been able to visit it’s original sight yet now that’s gone. I have photos of every room to remember it by as well as distant ancestors there. Thank you Dan.